France invests 1bn euro in Dassault Rafale upgrade. At the Dassault Aviation Merignac site, French defense minister, Jean-Yves Le Drian, presented to the companies a development and integration contract for a new Rafale standard, called "standard F3R." The negotiations were finalized with the Directorate General of Armaments (DGA) on December 30. In total, about one billion euros should be devoted to this work which will irrigate the entire aerospace industry. This new standard is based primarily on the integration of air-to-air missile long range Meteor (MBDA) and a new generation laser designation Pod PDL NG, developed by Thales and whose contract was also notified on December 30 for an amount of € 119 million. 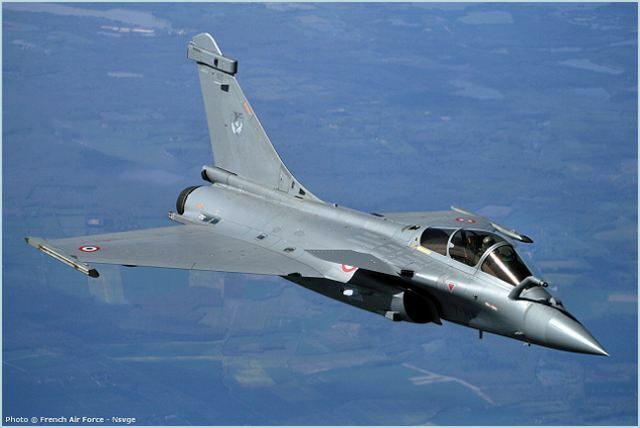 The Meteor missile "will be very powerful for maximum efficiency through an active antenna radar that equips the Rafale delivered in series since mid-2013," said Dassault Aviation in a statement. The characterization of PDL NG is expected "mid-2018 in line with that of the new F3 standard Rafale-R," said DGA in a separate statement. This POD will be used primarily for the improving air to ground strikes, day and night. The electronic suite SPECTRA will also be improve with the weapon system in the image of the bomb Safran AASM (Armement Air Sol Modulaire), improved by a laser designated variant, and a new data link solution: L16 NATO standard.